This is my third purchase iteration of Jawbone activity tracker. I started in June 2013 with the UP band (2nd gen), which had to be manually synced each night using the phone's headphone jack. I think that unit was replaced 3 times within the 1 year warranty period, the last of which was in June 2014, and lasted until March of 2015. After that, I bought an UP24, which added Bluetooth syncing. After my second unit broke, they offered an 'upgrade' replacement to an UP2 (I think they're phasing out the bendable models in favor of clasps). 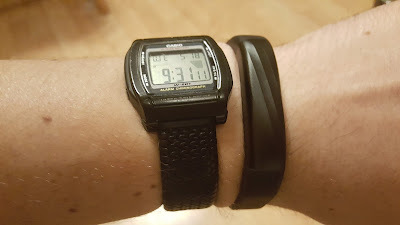 The clasp band on my second UP2 broke off last week, so I looked at the available options from multiple manufacturers. Ultimately, though, the UP3 has the best sleep tracking of any tracker in its price range. For me at the moment, the UP3 has the best mix of features. I don't need a watch replacement, and I value detailed sleep tracking. However, I didn't want my purchase value to evaporate shortly after the one year warranty expired. I really like the product, but I'm under no illusions as to its durability. Fortunately, Sam's Club offers a 3 year no-deductible SquareTrade warranty for an extra $10. I'm not a member, so there was an extra charge, and shipping and tax, so all told I paid $115 for three years of covered ownership. I'd really like to see this thing last that long, but I'm prepared for it not to.